Pakistan Army published ads on newspaper for all recruitment. A specific date will announced for registration and entry test date will be mentioned on roll number slip. You would register you through online and submit amount on selection center when you went to selection centre on the day of test. Address: Shami Road Near Fortress Stadium Lahore Cantonment. Pakistan Army offered Induction for females in different Sections. The link for further Information regarding Females Induction. Simple FA male apply for Pak Army but Female not apply. Secondly you also apply after Graduation. List of Degree will be mentioned in 2nd comment of post. You read this comment carefully and select degree which is favourable for you after this you will in Pak Army. Dear, if want to apply in Pak Army then you proceed your study for MBS in Finance. Then after this degree you will apply for Female Captain in Pak Army. I have suggest you to go for BSCS, BSIT or BS in Food and Nutrition. If you study BS in these field then you will apply for female captain in Pak Army. Select one and go for good future. I am not disturb with your any single comment. Because it’s you right to ask question and get a good guidelines from this page. So, ask you any query here and we have guide you fro the soul heart to Pakitani Students. If you passed FSC Pre-Engineering than you will apply after BS. BS degrees will be mentioned in the official webpage of Pak Army. Select one degree and apply for female captain in Pak Army. Student having the degree of BS Psychology not eligible to apply in Pak Army. You apply for these program in unviersities. So, select you one interesting degree and come for true dream of your life. Hope for best life Good Luck. Hope for Best Allah Hafiz. salam… i have done b.com can i join Pak army …???????? Yes, you will apply in Pak Army as Female Captain after MBA in Finance or Supply Chain Management. Assalam o Alikum! My question to u is that i have done fsc pre medical. what are the minimum marks required to apply as a medical cadet?? Plz reply soon. For Medical Cadet you must have 60% marks through NUST and 70% marks through PAK Army. But females are only apply through NUST. tw u r trying to say that for females we need just 60% marks to apply for medical cadet?? tw u r trying to say that we jux need 60% marks to apply as medical cadets??? Yes, you as Medical Cadet in AMC through NUST. do u knw the no. of seats in AMC for females living in kARACHI??? There is no reserved seat for the females who living in Karachi. Seats in AMC is according to open merit. After B.Com if you will go for MBA in Finance or Supply Chain Management then you will apply in Pak Amy as female captain. salam sir sorry again for disturbing …………….u sugestted me to doing bs it but is not possible in simple fa ………..
so plzzzzzzzzzz tell me what should i do ……………………………..
After MA/MSc in one from above program you will eligible to apply in Pak Army as Female Captain. If you want to Join Pak Army as Doctor or AFNS than you go for Fsc Pre-Medical. Secondly, if you have want to Join Pak Army as Female Captain than go for ICS and after this proceed your study in BSCS, BSIT, BSSE. After ICS select one field from following and apply in Pak Army after graduation. Hope every thing is fine with you. I need some info from you. Currently I am doing MA Political Science and LLB. I have complete also my B.ED. I want to join PAK Army or any Military field could you please guide me i which field i can apply and how.Please its my dream to join Pak Army so kindly guide me i shell be very thankful for your kindness. Student having degree of LLB or MA Political Science will ineligible to apply in Pak Army as Female Captain. Female join Pak Army as Doctor after MBBS. sir cleared my matric with arts so if i do nursing dimploma course than m i eligible for armed forces………. No, you must pass matric with science. than im really very disapointed that there is no place for me in armed forses………………..i cant wait any more ,,,,,,,im simple arts student in matric also in inter……and i begging to cheif of army staff that plz give chance to simple arts females……..many girls like me is disapointed………plz plz for god sake plz give us chance………………………. i want to know that the females having degree BS/Msc in Mathematics can apply in Pakistan Army for the post of captain? ● Software Engineering / Information Technology. Student with BBA will not apply Pak Army as female Capitan. I have suggest you to go for MBA Finance or Supply Chain Management. Then after this you apply for Female Captain in Pak Army. I have done BBA (marketing) and currently I am doing Msc in business statistics and management and my education is research based. Can I apply in army in the education core? If you want to apply in Pak Army then proceed your studied in MBA Finance or MBA in Supply Chain Management. If you go for one field from these then you will apply in Pak Army as Female Captain. Finally, MSc in Business Statistics and Management through this degree you will not apply in Pak Army. what is scope for female bs(cs )student ???? If you selected in Pak Army as Female Captain. Then it’s good post for you. Scope of BSCS in Pak Army to manage IT Section. as i m doing hons in operation theater technology ,can i apply? if i ll apply on base of fsc pre medical then which post i can apply and i ll apply on base of 4 years hons in ott then for which post i can apply?? In addition you apply in Pak after Fsc Pre-Medical in AFNS. You also apply for Lady Officer in Pak but your BS HOns degree not relevant to field which is allowable for females. If you apply for AFNS in Pak Army then Pak Army give you the rank of Lieutenant. AoA my duaghter want to apply for a captain in pak army, she has FSC Free medical degree,is she eligible to apply? if yes then what is the proceedure how she can apply. Currently MBBS cadet apply through NUST for Pak Army. In addition AFNS entries should no announced currently when announced we have updated on the website. You must have 60% marks in Matric and 50% in Fsc Pre-Medical for admission in AFNS. There are many fields for females in PAK Army. After Graduate there are so many cores in which you apply. Student having degree of BBA will not apply for Pak Army as Captain. I’ve completed my MPA (Masters in Public administration).Am i eligible to join PAK Army as captain ? if yes, what’s the procedure. i have done my bscs,i want to apply in army as captain,plz guide mee. Yes, Asma you will for Captain in Army with BSCS. Currently Induction are not announced when induction start then we have updated on the website. i have done BBA(Hons) Finance.. sir please tell me about posts in army for females with this qualification and when will be announced? Student having qualification of BBA(Hons) should not apply in PAK Army. However you apply in PAK Airforce in Non-GD Courses. Hi sir wen Will be registration on to join Army. Pak army has not specific month of new induction in Pak Army. When induction start then we have updated on the website. Sir I have done pharm D so may I apply to join army ? Is their any seat and rank present in army administration department,,, whose eligibility criteria fulfill our demand?? sir! I’ve heard from many peoples that “if you want to join pak army, you should take admation in fast nuces university”. is that true ? There is no involvement or collaboration of Fast University in Pak Army. Pak Army separate procedure for induction of females. females can only apply after there graduation for commission ? and is there any university or institute which can guide or teach us according to army ? your answer is very important for me. girls who are willing to apply for commission in army should graduate from particular schools or its not necessary at all. Females apply for PAK Army through 3 ways. Apply as an ladies Officer after graduation. So, if you want to apply after graduation then see the previous comments which I have mentioned the complete details of degree which are eligible to apply for Pak Army as lady officer. Currently induction for Female Captain has not started. When its announced then we have updated on the website. You regularly visit this webpage for updated regarding female captian. If you to want to Join Pak Army then you must have FSC Pre-Medical for Army Doctor or Army Nursing. Army is far more better then Army Nursing. You will apply for Army Doctor in AMC through NUST. Secondly, its you chioce either you go for Army Nursing or Army Doctor. i want to know that the females having degree BS/Msc in physics can apply in Pakistan Army for the post of captain? Student having the degree of BS/MSc Physics should not apply for Captain. where is registration form. How I will apply for PAK army .I have done MSc economics and 30 year old am I eligible? pleas reply as soon as possible. Student having degree of MSc Economics should not apply for PAK Army. What your Bachelor degree name the degree then I will further guide you in detail. how long women can stay in pak army other than medicle field??????? Maximum 10 years service. After 10 years service Women should left form Pak Army. My sister want to join pk army.she has done bachelor of art(b.a) plz plz tell me about the full details. After BA your sister will not apply for Captain in Pak Army. We have list down all degrees in 2nd Comment. 1) i want to apply as a female GDMO…do i need to complete housejob for this? 3)according to the website the only female job that is open for female doctors is through the SSRC as a classified specialist..so will i have to complete postgraduation before joining? 4)even graduates have to end up giving the intelligence test? 5)i want to become a neurologist..but obviously thats a male dominated field..is there a possibility i might be rejected or forced to change my carreer plan because of this? Please help me out!! I know they are silly questions..but your help will be appreciated tremendously! Dear, Zhahra Khan for GDMOS Females should apply now. You apply in Pak Army as GDMOS after completion of MBBS. Age Relaxation is 28 Years. Aoa, me iqra. Mai ny bsc final k exams dea hain ur mujhy army join krne hy mery subjects geography, psychology, ur home economics hy. Kea mai geo k through army join kr skti hn?????? psy mai mera koi interest nhe mai woh par k khud psycho ho jaon ge:-P mai kesy army join krn????????? According to your subjects you would not eligible to apply for Pak Army. There is some different fields in PAK Army for females. So, you read the 2nd comment which I have mentioned all fields in detail. Good your Pak Army will understand your motivation level to join Pak Army. But after simple F.A you would not join the Pak Army as lady officier. I suggest you to read the second comment of the post. Which I have mentioned all BS degrees which Pak Army select applicants. So, you go for BS in this field and after that join Pak Army. Sir can you please tell me about the subjects needed for army psychologists as commissioned officer. Females having the degree of Psychologists should not apply for PAK Army. Only males should apply for Psychologists. salam nd thanks 4 reply ;me ne is se pehly b kai websites pr(army waly) pr msgs kye pr koi reply nhe mila sir pak army is my obsession or sir F.A simple nhe ha 2nd yr sir plz try to my understand obsession. i want to join pak army in every situation. Select one from all these in which interested and Join Pak Army after completion of 4 Years. msc in maths student? can i apply or not ? You will apply eligible to apply in Pak Navy through short service commission not in Pak Army. I am BA honours in philosophy, am I eligible for pak ak army? Currently, GDMOS induction are announced. When GDMOS induction start then we have updated on the website. Currently registration for GDMOS is not announced when admission announced then we have updated on the website. sir i want to jion pak armr as a second lieutanant now i m doing B.A plz ap mujhay guide kijiya kay main pak army as a second lieutanant kasay join kr skti hn r iska kya procedure ha?army join krna or apnay country kay liya hr mushkil krna chahti hn so ap lpz mujay guide kijiya? I have mentioned field in 2nd comment of the post. You read 2nd comment carefully and see the field from which you apply in Pak Army as 2nd Lietanant. i want to join pak army as a second lieutanant.i have done fsc in pak army but i am not intrested in any medical field.i want to apply as a solider of pak army or pma long course 135 so what should i do for it.plz guide me for it what should i do for it. After FSC females should apply on two fields for AFNS and MBBS as Doctor. After this females should be apply after Graduation. I have already said you that you read 2nd comment where all BS Degree has been mentioned. As 2nd Lieutant you will apply through AFNS and MBBS as Doctor. I am currently doing my housejob. On Some queries , I want your answer. 1.if one gets selected for GDMO, what is the criteria for post graduation? 2. For how many years , one has to wait for starting of post graduation? 3.what is the eligibility criteria and selection procedure for GDMO? completion of basic military training at AFPGMI Rawalpindi and AMC Centre Abbottabad. I have completed my bs(hns), psychology. Can i join army as a captian or lady officer?If yes, what’s the procedure? After BS Psychology you will not apply for Captain. Aoa, mai ny phly msg kea tha ap ny bataya k mai in subjects k sth nh kr skti(geo, psy ur h.economics) ab ap kea mere itne help kr skty hain k mai cptain banany k lea kn sy subjct mai masters krn plzzz……..
Iqra you read 2nd comment carefully. In this comment I have detail mentioned the field which are offered by Pak Army for females. Females apply in PAK Army through 2 ways after FSC or after Graduation. In addition after this their is not way to enter in Pak Army. Kea koi bhe rasta hy mery lea. Mujhy army he join krni hy……. MBA in finance is the major field if you continue study in this field. So, this will give you a way to enroll in Pak Army. So, Finally continue study in MBA Finance for Pak Army Captain. After FSC Pre Engineering you will not apply in Pak Army. In secont I have mentioned the courses through which you apply PAK Army. Read this comment carefully in detail. Hope this will be helpful for you. salam ,sir i want to know how female candidates can apply for psychologist in any armed forces as comission,i have done ms in psychology from karachi uni.plz guide me sir..
Only males should apply as medical psychologist in Pak Army. If you selected in Pak Army this direct Captain Post equivalent to 17 scale officer. Student having Master in Psychology this is only for males. Females will not apply for MS Psychology. Kindly can you tell me your BS Degree then I will future guide you that weather you eligible for PAK Army. I have complited my graduation with arts subjects like Psychology, Islamiyat, Arabic. I have complited my graduation with arts subject like Psychology, Islamiyat,Arabic. M female. Is I’m not eligible for army??? Sorry your degree will not meet the criteria with PAK Army for females induction. If you have any querry then read the second admin comment in the post. In which complete degree will be mentioned in the comment. Hope for best. I have complited my graduation with arts subject Psychology,Islamiyat, arabic. I’m fmale. Is m eligible for Pak Army??? I have complited my graduation with arts sujects like psychology, Islamiyat and arabic. Kindly tell me your BS and Master Degree. After this I will further guide you either you will apply in Pak Army as Captain Officer. I wanna ask that is there any other route to apply for MBBS in AM college other than through nust entrance test after fsc pre-med for female candidates? In past few year there is a chance for Females to apply in AM College through Pak Army. But from the recent two year Pak Army has closed induction for females through Pak Army. So, Finally you only apply through NUST. AoA m sidra wana join pak army I recently done my b.com can I join pak army as a female officer??? After B.Com you will not apply for officer in PAK Army. You read the second comment in which I have mentioned the degree through which you get admission entrance in PAK Army. Currently admission date for FMDC has not been announced. When admission date announced then we have updated on the website. FMDC has conduct his own entry test through NTS. UHS or any other test is not acceptable for admission in FMDC. I’ve done my matric and fsc premed with 92 and 85% respectively. Can I apply for airforce or army? Yes, you in PAK Army after FSC Pre-Medical. Student having M.Sc Physics degree should not apply for Captain Post. am doing BS-Architecture, can i apply for army? cuz u mentioned Architectural Engineering, but mine is a non-engineering program. If you have B.E in Architecture then you apply in PAK Army as female Captain. Aoa, recently i have completed my MSc in Psychology and i want to join pak army. how i can apply??? For Psychologist only males will be apply females will not apply in Pak Army with this degree. After B.A your sis will not apply in Pak Army as a female Captain. You read the 2nd comment which I have mentioned all BS Degree through which you apply in Pak Army. So, this comment in detail for further guidance. sir i ma student of bs mass communication and i want to join ISPR. so plz kindly tell me how i can join it and when..?? kindly also reply me on my email..!! Yes, you apply for Pak Army. Pak Army offered Graduate Course Induction every year. Aoa,sir what is the procedure of joining ISPR? could you kindly guide me with the tests involved for getting selected at ISPR and the requirements? I would be highly grateful if you could help me out with this. I am also a student of bs(hons) mass communication,and this is my last semester. Pleaseee sir, reply as soon as possible on the given e-mail address. Aoa i hve done bs(hon)in microbiology can i apply in paf or army. No, you will not join Pak Army with this degree. List of degree will be mentioned in 2nd comment. You read this comment carefully and continue your BS Degree in this field to join Pak Army. Sir I have done BE and MS in electrical engineering. I want to enroll in army as my husband is alse a major in EME dept. But I heard only single females can apply. Please confirm. And is their a way I can get into Pak army or other forces? You apply in PAK Army as Doctor if you have married. Apart from this there is no other way to join Pak Army. As a Psychololist only males should apply females will not apply. aoa sir. i’ve cleared my fsc pre engg and i’m looking forwad for bba and HRM in bachelors and masters. sir if im eligible for any sector of pak army then pls tell me and if i am which posts i’ll be able to be allocated at? I COMPLETED MY B.S.C HONS IN MEDICAL MICROBIOLOGY . can i apply for PAF ? kindly tell me about eligibility ? and also tell me about dates k 2014 september main koi field hai PAF main jis main main apply kar skoon ? kindly tell me females can apply after BSC honrs for PAK ARMY ? Yes, you join Pak Army as female captain if you continue your study in BSIT. After completion of BSIT you should apply for Female Captain in Pak Army. If you want to apply in PAK Army for Medicial Doctor then you should apply through AMC. AMC admission shall be announced in the month of June/July. Currently admission for 2014 has been closed. You will wait for 2015 admissions. Yes, if you continue you study in BSCS then after graduation you will apply for Captin in Pak Army. aoa. after fsc (ics) thrs any possibility to join pak army as a captn??? with software engineering? After Software Engineering yes you apply apply as captain in Pak Army. Yes, you apply for admission in AMC. If you have 60% marks in FSC Pre-Medical then you apply for admission in AMC for MBBS. You apply in AMC through NUST but currently admission are closed for 2014. New Admission announced in 2015. After clearing the initial and medical test when the call letter issues? and in interview what kind of questions usually ask? After Medical Test College issued Interview letter with in duration of 2 weeks. Secondly, In interview there is general knowledge type questions. Not to tough its so simple just check you mind level. That why you select this field like MBBS. Just check you interest in this field. AOA,plzzz sir guide me . . .can i join pak army after doing MBA in HRM or not??? … is mba in finance is necessary for joining pak army ?? If you continue you study in MBA Finance then you apply for Captain in Pak Army otherwise not. Yes, you apply in Pak Army as Lady Officer. AOA.I have passed F.Sc. percentage is 71.57 so plz tell me can i apply for MBBS CADET? Yes, you apply as Medical Cadet in Pak Army. i m student of BSIT and its near to complete so i want to join Pak army ….so tell me the procedure of registration and what the schedule of registration ??? Yes, you apply in Pak Army as female Captian with BSIT. But currently induction are not announced when induction announced then we have updated on the website. N also plz tel me after msc-it can apply or nt??? No, you will not apply in Pak Army after BS IR and MSIT. You will apply after MBA Finance. Sir can i join PAK Army after F.a? Please explain me how can i join Pak Army? After FA you will not join Pak Army. i pass DAE(deploma in associate engeering) in Computer information tecnology(CIT).i want to join pakistan army .plz sir tell me how to join pakistan army. After DAE should will not apply in PAK Army. Walimkum Salam, No, you will not apply in PAK Army as female. After FSC Pre-Engineering females will not apply in Pak Army. Yes, you apply in AMC but through NUST. If you appear in July test then check your result and aggregate. Currently merit list is not finalized. When merit list is finalized then we have updated on the website. AoA..!! sir i have completed my fsc with 58% marks and i will improve my marks in april 2015 whose result will be announced in aug 2015 and my 1st year marks are 59 % can i apply for tcc or long course ? apna fsc part 1 k marks bta ka or kahon k ma improve kar raha hon marks… ? Yes, you apply on the base of Hope Certificate if institute issued you otherwise not. and what are the chances of student like me to get selected…?? agr mera marks k point of view sa dekha jai…means k basic eligibility criteria 60% k bad kis tarhan marks count karta hein..army ma selection sare issb or medical pa he depend karte ha ya marks sa b aggregate banata hein ? When new induction announced then we have updated on the website with all terms and conditions. ok thank you sir ..!! and what are the chances of student like me to get selected in army? Yes, you apply in PAK Army as Captain Officer. But currently induction are not announced. You check this page twice in a week for updates regarding new induction for females in Pak Army. sir! can a female with BS Hons in Microbiology apply for pak army? Student with BS in Microbiology will not apply for PAK ARMY. Secondly, if you want to apply in PAK Army then read the second comment in which we have listed all degree from where student will apply in PAK Army as Female Capitan. so can I apply as a captain? Yes, you apply wit BS IT in Pak Army. assalamualaikum I have passed F.A intermediate exam. can I join pak army? After FA females should not be apply for Captain in Pak Army. i have done BS hons in physics and my age is 23 . can i apply in pak army ? if yes then for what posts can i apply for? Student having BS Physics will not apply for any post in Pak Army. Can you tell that you have pass BS in which field then I will further guide you either you apply for Captain in Pak Army or not. Student having MA Urdu Degree will not apply for Female Captain in Pak Army. List of degree should be mentioned in 2nd Comment plz read this comment carefully. Asslam o alikum.siri am doing mcs and want to join army.can i do it? If you have BS Degree in these relevant field then you apply for Female in Pak Army. assalam o alikum. sir mae ne b.a kia ha kya mae pak army join kr sakti hu? Student having B.A Degree will not apply for Female Captain in Pak Army. Asslam o alikum.sir i m doing mcs and i want to join pak army .can i join? Dear, can you tell me your BS Degree then I will further guide either you apply in Pak Army or not. Student having MCS will not apply in Pak Army. So, Finally tell me your BS Degree. I have read you all education qualification. Student having BA will not apply in PAK Army. However if you study MBA in Finance then chance of admission in PAK Army as female captain have greatly. So, I suggest you to for MBA in Finance and make your dream come true. Hope for Best. After BA you will not eligible to apply in any force. Pak Navy and PAF not recruit applicants on the base of BA. So, best option for you is that I have recently told you to go for MSc in one from above programs and aim to apply in Pak Army education crop as captain. i have done Bs(hons) in applied psychology. so can i apply as a psychologist in pakistan army? As Psychologist only Males will apply in PAK Army. Yes, you apply in Pak Army as MBBS Doctor. You apply for admission in AMC through NUST. Every year NUST announced admission for MBBS, so you apply for admission in MBBS through NET-Series of NUST. After selectioin NUST student study in AM College for MBBS. after b.a pak army k kisi b department ko join ni kr sakty?ar kya m.a k bd kr sakty ha? After B.A or M.A you will not apply for Female Captain in Pak Army. After BA if you proceed study in MBA Finance then you will apply for Female Captain in Pak Army. If you have degree of MBA Finance then you apply in Pak Army as female captain. When entries announced for Female then we have updated on the website. i am Clinical Psychologist. did m.sc in Applied Psychology. done my advance and clinical diploma too. No, Females are not apply for Captain in Pak Army with this field. Aoa sir i have passed ics with 64% can i apply pak army??? Yes, Dear Rashid you apply in Pak Army as 2nd Leiutant Male and Direct After BS Graduate Course. After bs IT can i apply pak army?? Yes, after BS IT you will apply in Pak Army. Student having FSC Pre-Medical should apply as Doctor or Nursing. But if she studied BS degree which is mentioned in the second comment then she will apply in PAK Army as female captain. List of degree should be mentioned in 2nd Comment you read carefully from here. Agr mn bsc krun or is k bad army join krna chahun to merey liay bsc mn konsey subjects best rhnn gey.please Sir give me complete guidline. If you want to join Pak Army after BS then you should go for BSCS, BSIT, BSSE. Sir, kia Bsc with Botany,Zoology and Chemistry wali students after Bsc army join kr skti hn??????? Aur is k liay minimum hight kitni honi chaheye??? I have cleared matric with 89% marks and Fsc-pre medical with 79% marks. so I want to get admission in Bsc Nursing in Pak Army.What is the procedure for it??? Please send me detailed informations…..
Dear, SABA with B.Com and M.Com you will not apply for Pak Army as female captain. If you want to apply in Pak Army then read the 2nd comment in which I have mentioned all degree after this you will apply for female captain in Pak Army. sir i have done Masters in Physics recently i.e. in 2014 n i want to know is there any post for me in PAF or PAK Army??? I’ll be highly grateful to you if you guide me in this regard. Dear, can you tell me your BS Degree which you have studied. Kindly tell me the BS Degree then I will further guide you in detail regarding post in Pak Army and Pak Airfroce for females. On the base of FSC Pre-Eng you will not apply Pak Army. If you want to apply Pak Army then you go after Graduation in following courses which is mentioned in the 2nd comment of the post. You select one course from all these degrees and go for make own dream true. On the base of FSC Pre-Engineering females will not apply in Pak Army. If you want to join Pak Army then read the second comment of the post in which I have mentioned all BS Degree through which you will hopefully join Pak Army with new motivational level. may fsc kr chuki hn and I want to join pak army plz mjy registration sechdule ni pta plz mjy koi registration sechdule bta day 2015 ka and aik aor qs b ha k mera BMI may weight underweight ha toh kia underweight walay ko drop kr dty hainn? If you want to join Pak Army after FSC then you will not apply for this. Because females should apply in Pak Army after BS. BS Degrees should be mentioned in the 2nd comment of post. You need to read this comment carefully and select degree for BS. After this you will apply in Pak Army as female captain. Yes, you will apply as Doctor in Pak Army. You will apply for admission in AMC through NUST. Currently, admission are not announced when admission announced then we have updated on the website. AoA..!! sir mujha thore confusion ha k army ke selection ma fsc k marks kasaa count hote hein after basic eligibility criteria which is 60% for long course and 65% for tech. cadet course?? e-g jase universities ma 30% ya 40 % count hote hein fsc k marks puri selection ma… isi tarhan army ke selection ma kase count hote hein…?? Army selection should be calculate on the base of your test performance. But when you pass intial test then you will go to next test on the base of 100% Intial Test which not include the weitage of FSC Marks. Finally, FSC marks is only for appearance in entry test. After B.Com you will not apply in Pak Army as Female Captain. But after B.Com if you go for MBA in Finance or Supply Chain Management then after this degree you will apply in Pak Army as Female Captain. Is she is eligible ? After I.Com she will not apply in Pak Army. But if you review 2nd comment of the post in which I have mentioned BS Degrees Which is helpful for you. After these BS Degree you will apply in Pak Army as a female Captain. sir mera ak masla ha uska solution chaheya… sir ma army ma apply karna chahta hon likin mera marks fsc ma 640(58%) hein or fsc part 1 ma 329 (59%) hein or ma april 2015 ma improve karon ga marks jis ka result august 2015 ma aya ga hopefully 60% ajain ga ma abhi november ma pma l/c 135 course k lia apply karna chahta hoon..!! toh kia ma kar sakta hon apply… for example ma is tarhan apply kar sakta hon…… apna fsc 1 k mark sheet k sath hope certificate sent karo..
jo b process ha plz bata dein ..!! Brother I suggest you to apply in 136 PMA Long Course. Because at this time you will appear for improvement papers and you will awaiting results. So, at this condition you will apply in Pak Army. Finally, I suggest you to go in PMA 136 Long course not for PMA 135.
toh ma abhi november wala test ma apply nahi kar skta? and result next year aya ga august ma or papers honga april ma…!! agr kar skta hon toh kase apply kar skta hon plzz bta dein..? mein abhi november ma 135l/c ma kase apply kar skta hon.. >? sir koi tareeqa possible nai ha k ma 135 doun or possible ha toh kase da skta hon…or 136 kab hoga ? Dear, there is possible to appear in 135 Long course. But selection centre ask you show your roll number slip or hope certificate issue by Institutions. So, college offered you a scholarship on that base when you apply for improvement exam. Finally, the problem is that you have not get hope certificate and roll number slip. So, my dear brother best option for you to wait for 136 PMA Long Course. 136 PMA should be offered in the month of MAY/JUNE. This month is best for you because you have both Hope certificate and Roll Number Slip. In last it’s your decision either you to go for 135 to 136. But the option of 136 is best. agr ma abhi apply karna chahon toh kar skta hoon? agr han toh kase apply karon …or 136 pma course kab hoga? Finally, I advice you to visit selection centre for further details. Student with Mass Communication will not apply in Pak Army. Can you plz tell me your BS Degree. Then after this I will guide you in detail regarding will you apply in Pak Army as Female Captain or not. If you have degree of BS Food Science and Nutrition then you will apply in Pak Army as Female Captian. So, first you study BS Food and Nutrition from any university and after this you will apply in Pak Army. For AFNS Pak Army announced induction but currently it is closed now. Secondly, as doctor you will apply through NUST. sir bs chemistry k bd army k liye apply kr skty hain kia?? After BS Chemistry you will not appear in Pak Army as Female Capitan. Student having BA will not apply for Pak Army. List of BS Courses will be mentioned in 2nd comment of the post. i did f.sc wid 68% cn i apply for pk army in any field????? Student having BA Degree will not apply for Pak Army as Female Captian. Dear, Moazma you need to read second comment of the post in which I have mentioned all degrees through which you apply in Pak Army. If you want to apply then currently Female Induction is not started when Female Induction started then we have updated then we have updated on the website. You apply online through Join Pak Army official webpage. meanz k mujhe ab ya mba krna hoga, ya bsc ?? par army mein simple b,a k sath girlz k liey koi post nai hai?? Dear, I will suggest you for MBA in Finance or Supply Chain Management. After B.A you will go for MBA in Finance or Supply Chain Management. i am doing fsc pre engineering …. can i apply in army??? Yes, you apply in Pak Army as female Captain. But you must need to pass BS Degree in following subjects which is mentioned in the 2nd comment of the post. You have to read 2nd comment and select BS Degree. Studied BS Degree from any institutions in Pakistan and after this apply for Captain in Pak Army. Remember that you apply with only those degree which is mentioned in the 2nd comments. i passed fsc and applied for medical but i cant get seat there so now how i can join army ?? If you want to apply in Pak Army as Doctor. Then you will apply through NUST for AMC. sir i have completed my fsc with premedical i want to join pak army what i have to dooooooo?? For Docotr you will in AMC through NUST and For AFNS you will apply through Pak Army. a.o.a sir me samia ma ap se pochna chati hon ki pak army join krny k liye kya requirements hain means to say height health etc. Females height should be 4.8 for join Pak Army. Secondly, physical fit and this is decided by Medical Board after proper medical test. Samia if you join Pak Army then list of BS Degree will be mentioned in 2nd comment of the post read this and go for good future with Army. aslam o alikom… i wont to know that wt should i do after bsc in zooology botany n psychology to join pakistan army as lady officer? plz do let me know because i want to join pak army ..and sir would it be better if i got for Mba ?? Yes, it will be better if you for MBA in Finance or Supply Chain Management. After MBA you will apply in Pak Army as Female Captain. Dear, after MSC Psychology females are not allowed to apply as Psychologist. So, I would suggest you for MBA in Finance or Supply Chain Management. This will helpful for you as compared to MSc Psychology. No doubt MSc Psychology is a good degree. But if you want to apply in Pak Army then must study MBA in major field which is mentioned in the comment. Finally, go for MBA in Finance or Supply Chain Management and comes your dream true. sir i have passed bsc in botny zoology and geography with 53% marks should i apply in army. No, after these degree you will not join Pak Army. But if you go for MBA in Finance or Supply Chain Management with minimum 2.5 CGPA then you will apply for Female Captain in Pak Army. You want to apply as Doctor through NUST and AFNS through Pak Army. AFNS means BS in Nursing from Pak Army. Yes, you apply as Female Capitan after BS in Pak Army and as a Cadet through Doctor. tw ur trying to say that we just need 60% marks for applying as medical cadets?? After BSCS you will be apply for Female Captain in Pak Army. When Induction announced for Female Captain then you will be apply online through official website. After Simpel B.A Girls will not apply for Female Captain in Pak Army. If you want to apply in Pak Army then go for MBA not for MSC. You will proceed your study in MBA Finance or Supply Chain Management. Student having simple B.A will not apply for Female as a Captain. Commission for Female should be coming soon. sir…..i’m doing ICS with physics…..cn i join army as a pilot aftr cmpliting my ICS?????? Pilots should only apply in PAF. New entries of Pakistan Airforce for GDP will start in the month of March/April 2015. When induction start then we have updated on the website. Yes, you apply for ICS. sir kya female having height 4 feet 11 inc can join pak army as commissioned officer through pma long course. For Join Pak Army Female Height is minimm 4.8ft. Dear, if you want to apply PAK Army then you have chance to apply after BS. List of BS Degree will be list down in 2nd comment of the post. Plz you review these degrees and go ahead for these degrees. Secondly, the degree which is familiar with ICS are as follow if you select from these then this is also best option for you. Other degree also mention in second comment. Finally, you will apply after BS not after ICS. Sir. I have done MCS. Can i apply for job in Pakistan army..?? Student having MCS degree will not apply in Pak Army as female Captain. Kindly, tell me your BS Degree then I will further guide you regarding induction in Pak Army as a Capitan. Sorry you will not meet the cretria of Pak Army for Female Captian. what field are there in Pakistan navy ,army and air force for girls who have done F.A only.tell me about every type of fields I can opt for. i would be grateful if you provide me with the relevant information. After FA there is no field in all forces for females. But if female will apply in Pak Army then she will apply after BS Degree as Female Captain. List of BA Degree will be mentioned in the 2nd comment of the post. You have check the BS Degree which is acceptable in Pak Army and then after this apply for Capitan. MA/MSC Physics, Maths, Chemistry, Psychology, Islamic Studies, English & Urdu at least 2nd division from a recognized university. In possession of Law Degree which should be held in addition to a degree in Arts or Sciences from a recognized university. Student having MSc Psychology will not apply in Pak Army as Female Captain. In addition, can you tell me your BS Degree then I will give you clear confirmation either you will eligible or not on BS Degree base. Females will not apply in Pak Army as Female Captain. Only males will apply as Psychologist in Pak Army. Can you review the BS Degree which is mention in the 2nd Comment will be helpful for you to easily get induction in Pak Army as Female Captian. Sir, I’ve done graduation in Bech.Design. Can I apply for Pak Army as female officer? or guide me if any possibility for me through another education..? No, you will not apply in Pak Army as Female Captain with this degree. List of BS Degree will be mentioned in 2nd comment of the post. You will read this comment that How can we join Pak Army with these degree. If you want to apply in Pak Army then go for MBA in Finance or Supply Chain Management. Then after this degree you will apply in Pak Army as Female Capitan. mei abi 2nd lieutient k lie b apply ni kr sakti.ku k mery pass abi resorses ni hai further stydy k lie. kia girls second lieutenet main apply kr sakte hain? Sir, I’ve done graduation in Bech. in Textile Design. Can I apply for Pak Army as female officer? or guide me if any possibility for me through another education..? Student having Bech in Textile Design will not apply for Pak Army as Female Captiain. List of BS Degree will be mentioned in the 2nd comment of the post you will read the 2nd comment and see how these degree will helpful for you to get inducted in Pak Army. Sir can i join Pak Army after doing BS in Space science??? No, you will not apply in Pak Army after BS in Space Science. respected sir, thankyou very much for your kind response. salam can i join pakistan army after fsc or paf ??? In PAF You join as GDP Pilot. After FSC (pre Medical)’s student .. can join pak Army or not???? You Join Pak Army as Doctor and as AFNS Nursing. Thankyou Sir for your good response. If I go through MA in Islamic studies, then can i apply for Pak army’s Education Branch..? as you mentioned in your above comment. i.e. But if you read comment carefully then Education Branch will fall in Pak Navy not in Pak Army for females. I have also done B.A. Dear, Your Degree will not meet the criteria for All three forces. In Pak Army you will apply After FSC or After Graduation in Specific Field. Specfic BS Field will be mentioned in the 2nd comment you will read this comment of the post for Join Pak as Female Captain. In Pakistan Airforce Females Join after Matric as Airwomen, after FSC for GDP, after Graduation in Accontant Branch with MBA Degree. In Pak Navy you will apply as Doctor and in Law Branch. Finally, I have reveal all all forces requirement for females then student with BS Agriculture will not appear in Pak Army, Pak Airforce and Pak Navy. In last if you join ISI then you must first serving three forces. You will call in GHQ for call letter. Respected Sir! I am the student of BS Microbiology. My quetion is that am i eligible for any post in pak army?? Waiting for reply..
No, you will not eligible to apply for Pak Army as a female captain. After Matric Females will not apply in Pak Army for any single post. Females will apply in Pak Army after FSC Pre-Medical and BS. BS courses will mentioned in the second comment of the post you will check the BS Course if you want to apply for Capitan in Pak Army. In addition, you sister will apply in Pakistan Airforce after Matric with Science for Airwomen. Asalmo alikum sir.. hope you are doing good. my bachelor’s in psychology is about to complete and really want to join Pak Army as a psychologist. so would u please tell me when we psychology students be able to avail this opportunity and we heard that now Army is not appointing female candidate so its true? any rough idea about recruitment session? Thankyou . waiting for your response . Females will not apply with BS in Psychology degree in Pak Army. List of degree will be mentioned in the 2nd comment of the post. You will review these degrees from here. Yes, you will apply for Female Capitan Post. But currently induction are not announced. When female induction announced then we have updated on the website. You will not apply for Capitan Post in Pak Army. List of BS Degree will be mentioned in the 2nd comment of the post. You will review the list of BS Degree from the comment and then should go for Master Degree and after this apply for Captain Post in Pak Army. You will not apply in Pak Army with this degree. Madiha list of BS Degree will be mentioned in the 2nd comment of the post through these degrees you will apply for Capitan Post in Pak Army. Kindly, can you tell if you have BS Degree then you will eligible to apply for Captain Post in Pak Army. Sir I want to join Pak Army. Sir I have passed B.A with 73% percent but my F.Sc numbers are 547. Sir can I apply for PMA Long course. Yes, dear you will apply for PMA Long Course 135. But currently induction are closed now. You will apply in new induction 136 PMA. If you to Jion Pak Army after FSC then there is two fields as Doctor or as AFNS Nursing. If you want to Join Pak Army after BS then degree will mentioned in the second comment of the post. So, it’s really helpful for you. In addition, read the post carefully and select BS Degree if you want to Join Pak Army as Captian. ma na abhi commerc se 2nd year pass kiya ha 67% ke sath to kya ma ab army ma apply kar sakti hon? or agr abhi nai kar sakti to me agye kon se feld choce karon jis se ma a sakon army ma plz mujhy bta daen ma ana chahti hon. mari zindagi ka ak hi maqsad ha ke ma army ma jaon. If you want to Join Pak Army then you will apply through following fields in Pak Army. I will suggest some degree select one from these degrees and join Army. Finally, select one degree from all and make your dream true. If you two see more BS Degree then read the 2nd comment of the post in which all degree will be mentioned. and sir ye id mare bhi ki ha qk mari id hange ho jati ha is liye or ye ka next bar vicancies kb aen gi or test ki tyari ma kis book se karon gi?or full information dijye ga plz mujhy sach me ana ha . If you want to apply in Pak Army as Female Capitan then new entries should be expected in the month Jan. New Registration will be expected in the month of Jan and Entry Test will be in Feb. Written / Intelligence tests based on multiple choice questions will be conducted at AS&RCs as per announced schedule. Can you tell me your BS Degree. Because with MSC Physics you will not apply in Pak Army as Female Captain. sir mera abhi nai ho sakta i.com me na kar liya ha mba to capitan ka liye ha na me cadit nai a sakti kya? sir mba ke bad me direct capitan banon gi na agr ma abhi karon captan nai us se choty udhy par to nai ho sakta kya?or book bata daen jis sa ma test ki tyari karon gi or agr nazr week ho thori se to ho sakta ha? sir kya ma enter base par nai a sakti capitan se choty rank par nai a sakti kya? as a cadit? me ne I.com kiya hai 67% se to ap ye bataen k me abhe army me kis feeld me a sakti hon? Medical Test is according to proper conditions. Secondly, entry test include Intelligence test and Written Test. Initial Test include Intelligence Test and Professional Written Test. Select one field from above and complete you BSCS after that you will apply in Pak Army as a Female Captain. With ICS you will not apply in Pak Army. Finally, you have chance to apply in Pak Army after BS. You will in Pak Army after MBA in Finance or MBA in Supply Chain Management. If you want to Join Pak Army then review the BS Degree in the second comment of the post. This will give you a clear idea how to Join Pak Army with these degree. If you have skills, abilities and perfect knowledge you will easily select for both degrees. assalam o alikum ,.. hope u r fine wd bst health inshallah,i want to known about to join army,.i doing bs in social science wd particular field of gender studies. would able to apply in army as female captain or any other scope which fulfil army required position wd my degree. Yes, you will apply in Pak Army as a Female Capitan if pass the degree which is mention in 2nd Comment of Post. Read the degree which is mentioned in 2nd Comment. You will not apply with BS Social Sciences. If you want to apply in Pak Army as Female Captain then go for MBA in Finance or Supply Chain Management. Finally, go for MBA and then apply in Pak Army as Female Captain. I have many question to ask. 1.I have done my masters in English, so am I eligible for any army educational post. 2. I did my fsc pre medical in 2007, no one is there to guide me or tell me the right path.now you tell me that still iam eligible for mbbs. According to rules of PMDC, student will apply for MBBS till 24 Age. But if you want to apply in Army Medical College for Doctor then your age is not cross to 21. Secondly, with Degree of MS in English you will not eligible to apply in Pak Army as Female Captain. List of Degree will be mentioned in 2nd comment of the post. You read the comment where all degree will be mentioned through which you will apply in Pak Army as Female Captain. Hope this answer will satisfied yourself. can I join pakistan army? sir kindly tell me what procedure to join pakistan army ? so how can i apply and for which post? can i apply as it officer? Yes, you will apply in Pak Army as Female Capitan with BSCS Degree not with MCS. New entries for Female Captain will be announced in the month of Jan. When entries announced then we have updated on the website. You will apply through official webpage of JOINPAKARMY. If you have degree of BSCS then you will apply in Pak Army otherwise not. If you have only MCS then you will not apply in Pak Army as Female Captain. Finally, in your last comment you will mentioned that you have degree of BSCS then you will apply in Pak Army. With MSCS Degree you will not apply in Pak Army you must have BSCS 4 Years Program. Secondly, you should apply in Pak Army as Female on Captain on the base of BS Degree not MSCS. ASSALAM U ALAIKUM sir i have done fsc by comp sci n i got 66% n in matric 80% by sci. plzzzzzzzzzzzzzzz tell me can i join army? n how many post can i join plzz rep me plzz. If you want to Jion Pak Army as Female Captain then you have chance to apply after BS. After ICS you will go for BSCS, BSIT, BSSE. Select one degree after completing this degree you will apply as female captain in Pak Army. i want to apply in pak army.my qualification is Bs(IT).so plz give me information about join pak army. when i join pak army? Yes, you will apply in Pak Army as Female Captain. I want to join Army… i did FA in Math, Statistics and Economics. BA in Math and Statistics now awaiting result of M.Sc Statistics…. Can i apply for army…?? Sundas you will not apply in Pak Army as Female Captian. Can i join Army in any field like Office Job, or any other post…?? i want to do it at any cost…. assalam u alaikum i wana join army . i have done fsc by comp sci n got 66%? plz tell me can i join army? BS Food Science & Nutrition. Finally, you select one degree from following and come your dream true after BS. sir fsc k bad kn kn c post k leye apply kr skti hun ? ap mjhey detail bata dain bcz mjhey abhe he apply krna hai . If you want to apply as Doctor then you will apply through NUST for AMC. New Vacancies will be announced in the month of Jan/Feb 2015. You will through Pak Army as official website. fsc k bd kn c ost appy kr skti hun? After FSC Pre-Medical you will apply as Doctor or AFNS. If you have Pre-Medical then you will apply for 2nd Lietaunat in Pak Army. but main n comp sci sey fsc kia hai.main ks post k leye apply karun? n PMA long course main kia hai plz ap explain kr dain. 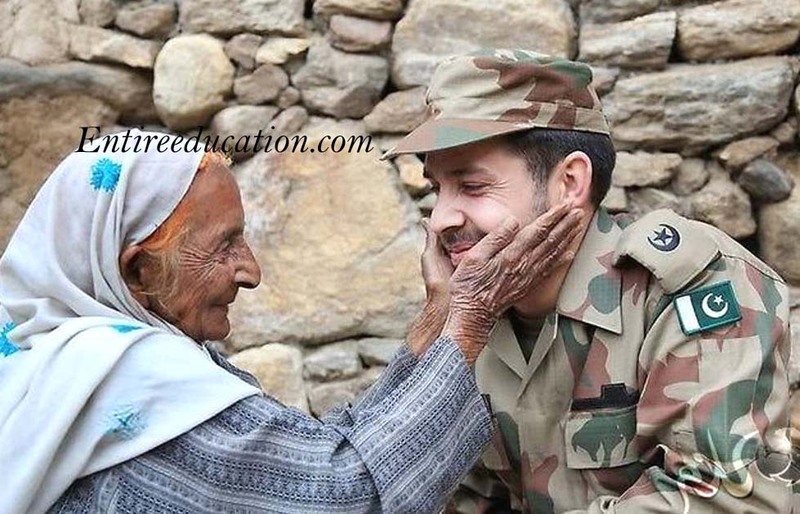 If you want to Join Pak Army then age relaxation is 28 years end. Student having Mass Communication Degree will not apply in Pak Army as Female Captian. List of degree will be mentioned in the 2nd comment of the post through which you will apply in Pak Army as Female Captain. assalam u alaikun sir i m realy sori. i m disturbing u alot. but plz tel me what i do ? i can’t do BS plz tel me which one post i can apply? i done fsc by cmp sci . I have already said you if you want to apply in Pak Army then on Intermediate base Pre-Medical Student will apply. If you want to apply in Pak Army then go ahead for BS Degree which is mentioned in the 2nd comment of post. No, there is only one way to Jion Pak Army as a 2nd Lietuant and study BS with serving Army. If you have Pre-Medical Subject then you will go for B.Sc Nursing trough Pak Army. sir plz tel me kia army join kr k BS kr sktey hain? Nooooooooo……If you have FSC Pre-Medical then you will go for AFNS and studied BS Nursing through Army. So, you have ICS then you will not apply in Pak Army as Female Captain. I have already said you. If you want to apply in Pak Army then go for BS in IT, SE, CS. Select one from these and apply in Pak Army as a Female Captain. plz rep kia army join kr k BS kr sktey hain? Yes, BS Nursing offered through Pak Army. You will apply in Pak as AFNS and you will select on the post on 2nd Lieutenant. Welcomz….Good luck for better future. Assalamwalikum,Respected sir .I want to join Pak Army. As i am qualified Bachelor in Computer science(software engineer).Kindly help me to pursue further for admission procedure.I would be very grateful to you.Yr recommendation is highly appreciated. If you want to apply in Pak Army as Female Captain then you new induction will be announced in the month of Jan 2015. Then you will apply through Join Pak Army official webpage online. After matric females will not in Pak Army. You will apply after FSC or BS. If you want to apply after FSC then you apply as Doctor AFNS through Pre-Medical with minimum 60% for Doctor or 55% for AFNS. Secondly, if you want to apply in Pak Army after BS then following degree will be mentioned in the 2nd comment of the post. Finally, after Matric you will not apply in Pak Army. If you want to apply after Matric then you will apply in Pakistan Airforce as Airwomen. I have reply your questions. You have review this answer. how can i apply in airforce..? Educational Qualifications Matric (Science) with Biology minimum 60% overall marks having minimum 33% (50/150) marks in Physics, Chemistry, Maths and Biology and 47% (70/150) marks in English subject. Every year entry will be announced in July. New entries will be announced in the month of July 2015. When new induction has been announced then we have updated on the website. You will apply through Join Pak Air force official webpage. Currently, new vacanise for Female Medical Assistant will be announced in 2015. When new vacancies announced then we have updated on the website. A.o.a sir my qualification is fsc can i join pak army as captain after bcs in computer science plzz help me…. W.S, Yes, you will Join Pak Army as Female Captain after BSCS. aoa i have a question sir! aoa i am architectural engr from uet lahore.in 2014 min cgpa was 2.5mentioned in the news. but on the website joinpakarmy its 3 min. i am getting confused about that!im from 2009 session.. is there any relaxation frm 3 cgpa?for the prev sessions? If you have 3 CGPA out of 4 then you will apply in Pak Army as Female Captain. mere grades throughout A+ hen.. bs cgpa mai maslah zraa.. 2015 mai post anay say pehlay kese kha ja skta hai k it wud b 3? i mean last year it was 2.5 fr awl. and in 2013 it was the samea and on the army site it was mentioned 3?? The criteria has changed now. Now currently you have got 3 CGPA out of 4 then you apply in Pak Army as Female Captain. sir, msc maths k liye koi jaga hai kisi bhi force men?? No, student having the degree of BS Math will not apply in Pakistan Army. Secondly, currently females will not allow to apply on Education Branch of Pakistan Air force. So, you will not apply in any force in Pakistan with this degree. W.S Student having degree of MA will not apply in Pak Army as female captain. List of BS and Master Degree will be mentioned in 2nd comment of the post you will check from here. I Am doing BS(hons) in psychology..can i apply in Pak army? No, you will not apply in Pak Army with BS(Hons) Psychology. Yes, you will apply on the base of MBBS in Pakistan Army as a Doctor. You will apply for GDMOS Induction in Pak Army through official webpage of Join Pak Army. Secondly, there is reserved seat for wards of Army servant it means if you father was serving Army then you will fall in this category not on the base of Fiancé. Finally, GDMOS induction will be announced soon. You degree grades will be matter 30% but your performance in test of Army is 70%. I have reply your query. sir i have done f.sc pre-medical with 73% marks.can i apply for a captain designation in Pak Army? if not what should i do now so that i can join? I have reply your same question in last comment. sir i have done f.sc pre-medical.can i apply for a captain designation in Pak Army? if not what should i do now so that i can join? If you want to apply in Pak Army as Female Captain then list of degree will be mentioned in the second comment of post through which you will apply in Pak Army after BS. Preferable degree for you after FSC Pre-Medical is BS in Food & Nutrition. You go for this degree then join Pak Army as female captain. Kindly guide me am eligble for any type of commission or not?? W.S, Najaf you will not apply in Pak Army as Female Captain on the base of BA Degree. If any new vacancy will be announced on Matric base then we have updated on the website. Sir am male kindly tell me k army person kyle service ka koi issue hai? I mean k 5 year service k bad commmission apply lr skkta hun ya ni? There is no issue of your Army Serving. Army persons may also apply commission in Pak Army. But your age limit not cross 25. If your age limit not cross to 25 then you will apply in Pak Army for 2nd Lietanant. Sir I have completed my intermediate with 50% marks,will u plz tell me how can I join pak army? Females will apply through NUST in AMC. In addition, you must have 60% marks in FSC for admission in AMC. Sir mje ye bhi bata den k ap log females ko MBBS krwaty hain ya nhi? Yes, Pakistan Army offered MBBS to the females through Army Medical College. You will apply through NUST Entry Test for AMC Admissions. sir mn pak air force mn jana chahti hun us ky liay kia krna h nd ab apply krny ki dates kb aen gy plz inform. Admission Dates for GD Courses will be announced in the month of March/April 2015. Sir mje kindly ye bata den k 50% marks k sath me pak army me kisi cheez k liye apply kr skti hon? Yes, you will apply in Pak Army for AFNS Post. 4 years BSc Nursing Training at AFPGMI Rawalpindi. After successful completion of training, shall be granted Commission in the rank of Lieutenant. Army person Agr computer science me private master kia ho to ICTOS kyle Apply kr skta hai? Service ka koi issue to ni hoga? Aur is kyle max age kya hai? sir fsc ma kitne percntage required ha army ma mbbs k lye??? You must obtain 60% marks in FSC( Pre-Medical) to get admission in AMC through NUST. Females will only appy through NUST. please tell me Army person Agr computer science me private master kia ho to ICTOS kyle Apply kr skta hai? Service ka koi issue to ni hoga? Aur is kyle max age kya hai? Pirvate Degree is not acceptable for Induction in Pak Army. You need to get degree on regular bases. I Have Got 70.55 % can i apply pak army ..??? and when will admission start ?? After FSC Pre-Medical Females will apply through Pak Army for Doctors and AFNS. Currently, new admission date will announced later. Assalam o Alikum sir m doing M.com i want to join the pak army plz guide me what procedure to apply this? If you want to apply for Female Captain in Pak Army then you will not apply with M.Com. If you go for MBA in Finance or Supply Chain Management then you will apply for female captain in Pak Army. For Admission in AMC age limit is 17-21. Secondly, you will be get 180 marks in entry test for admission in AMC. Sir mje ye bata den k AFNS me admissions kb hongy? Or sir meri height 5 ft se thori se km hai to is se koi farq pary ga? Or sir mje ye bata den k test ki preparation kahan se karni hai? Or iski koi fees hai kia? Registration for AFNS should be announced in the month of July/August every year. Secondly, your height is minimum 5.2 Ft. For entry test books you will concern with Intelligence Test and FSC course well. You have to nothing when you selected for AFNS.